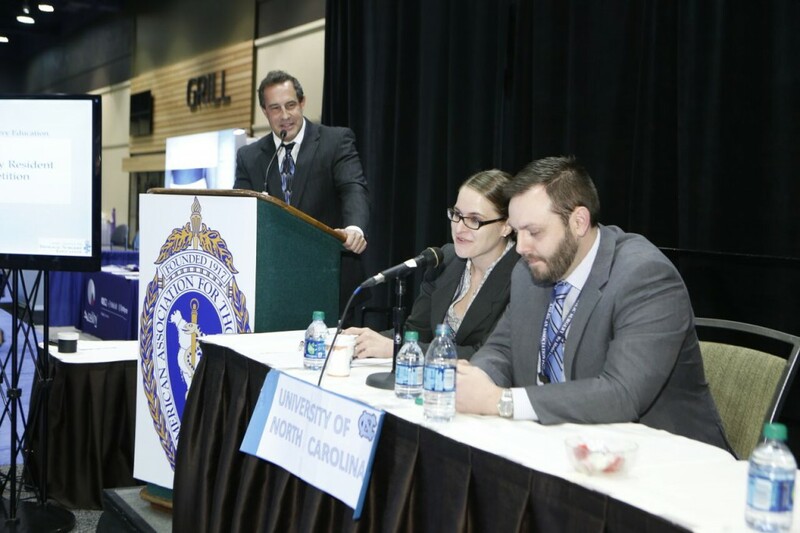 The Joint Council on Thoracic Surgery Education (JCTSE) will host a Cardiothoracic Surgery Resident Jeopardy Competition during the STSA 62nd Annual Meeting. Eligible residents (all residents enrolled in an ACGME- and/or a Royal College of Physicians and Surgeons of Canada-approved thoracic surgery residency program are eligible to participate) can now enter to compete in the live Competition by taking an individual online screening exam. The exam will be available until September 1 on the Thoracic Surgical Curriculum website. View complete Resident Jeopardy Competition participation requirements and instructions. Residents will have 20 minutes to answer 60 questions, and the top six two-member teams will be invited to compete during the STSA 62nd Annual Meeting for what is sure to be a lively, exciting live event. The European Association for Cardio-Thoracic Surgery (EACTS) will also hold its first Jeopardy Competition at their upcoming Annual Meeting in October. The North American team that wins the Competition held during the STSA 62nd Annual Meeting will face off with the EACTS winning team during the Jeopardy Championship at the STS 52nd Annual Meeting, January 23-27, 2016. The Jeopardy Competition is among a host of exciting educational and social activities that STSA has planned for the 62nd Annual Meeting, November 4-7, at Disney’s Yacht & Beach Club Resorts in Lake Buena Vista, FL. Register for the STSA 62nd Annual Meeting and review the Advance Program for a full agenda of educational sessions. Contact Rebecca Mark, JCTSE Administration and Education Manager, at rmark@jctse.org with questions about the Jeopardy Competition. Contact STSA Headquarters at stsa@stsa.org or 800.685.7872 with questions about the STSA 62nd Annual Meeting. STSA Past President, Dr. Robert Cerfolio, moderated the inaugural Jeopardy Competition held during the AATS Annual Meeting in Seattle, April 2015.